People with schizophrenia and their families face many challenges, but research is showing that simple interventions can empower individuals with the disorder to lead healthy and fulfilling lives. Cognitive deficits can make learning, decision-making and vocational functioning difficult and affect all aspects of life. Significant cognitive impairment affects about 75 percent of people with schizophrenia. This cognitive dysfunction is thought to be caused by a disruption in brain activity from progressive changes in neurons. Now it appears that exercise can counteract this process by causing a brain protein called brain-derived neurotrophic growth factor (BDNF) to be produced. BDNF stimulates the growth of new neurons and increases the connections between them and thereby improves cognitive function, learning and memory. The exercise that was supervised by physical activity professionals was the most effective. Negative findings showed no improvement in processing speed, verbal memory, visual memory, reasoning or problem solving. Everyone needs exercise, but it appears that exercise can have a profound positive effect on cognitive functioning in persons with schizophrenia. In addition, those with the illness also are usually prescribed medications that put them at risk for obesity, metabolic syndrome, diabetes and heart disease. Obviously, exercise can reduce these risk factors as well. For friends and family members of people with schizophrenia, the finding that supervised exercise was the most effective might inspire them to take an active role by encouraging, supporting and possibly even participating in their loved one’s regular exercise program. Perhaps if friends and family members could exercise along with their affected loved ones, they might be more likely to complete their workouts. Support and encouragement by family members is widely known to improve outcomes in general for people with schizophrenia. Regular exercise, a healthy diet and adequate sleep are the cornerstones of good physical and mental health. For those with schizophrenia, exercise appears to reconnect disconnected neurons and grow new ones as well. 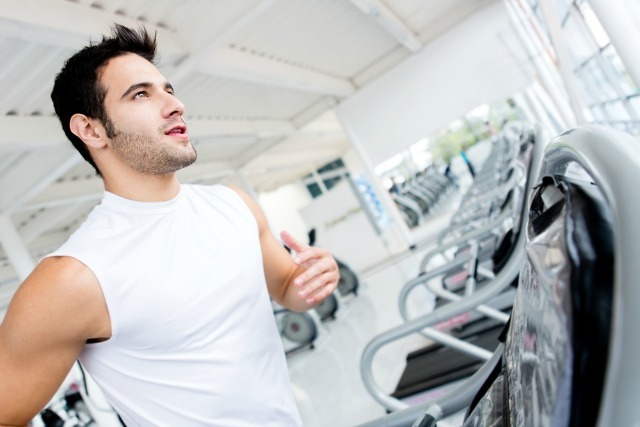 Exercise can also help counter weight gain and other side effects of antipsychotic medications. A supportive social network is also important for those with schizophrenia. If you or a loved one is struggling with mental illness, understand that help is available. Innovative, new treatments are improving outcomes for people with mental illness, substance abuse and co-occurring disorders. Most importantly, treatment can help prevent tragedies and improve the quality of life for patients and their families. Sovereign Health is a leader in the treatment of individuals recovering from mental health disorders, substance abuse and co-occurring conditions. We are committed to providing individualized, clinically driven and evidence-based treatments for our patients. Sovereign uses cutting-edge technology and high-quality treatment methods to provide our patients with the tools needed for a lasting recovery and plenty of support until they no longer need us. In addition, Sovereign offers mental health professionals with outstanding continuing education presentations, training programs, resources and other opportunities. To learn more about our programs and services, please call our 24/7 helpline. Dana Connolly, Ph.D., is a senior staff writer for Sovereign Health, where she translates current research into practical information. She earned her Ph.D. in research and theory development from New York University and has decades of experience in clinical care, medical research and health education. Sovereign Health is a health information resource, and Dr. Connolly helps to ensure excellence in our model. For more information and other inquiries about this article, contact the author at news@sovhealth.com.